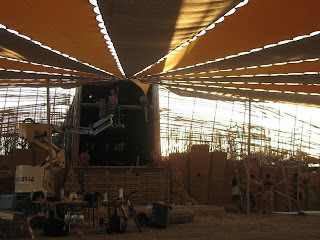 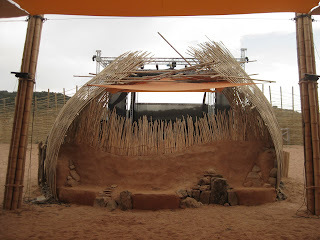 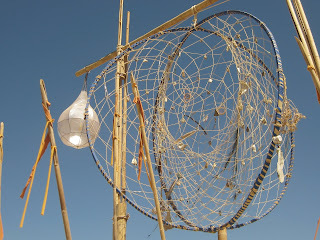 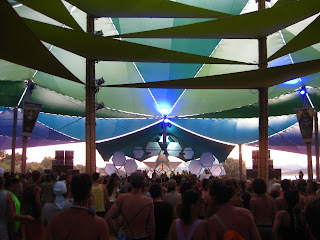 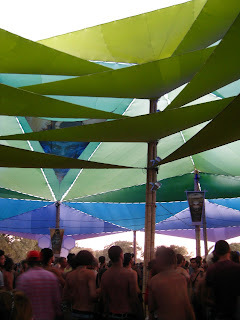 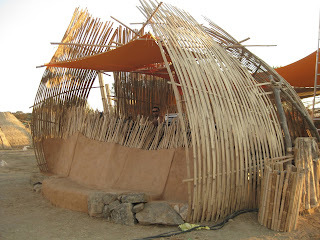 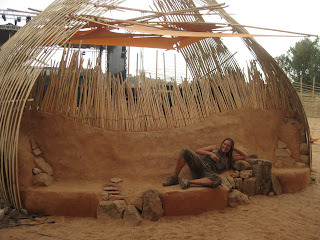 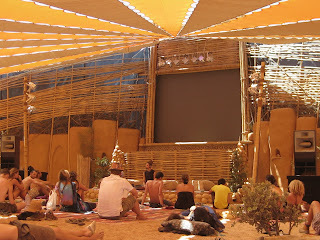 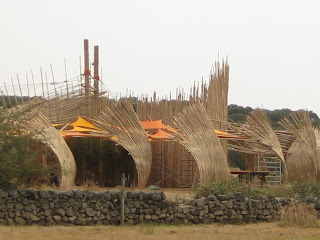 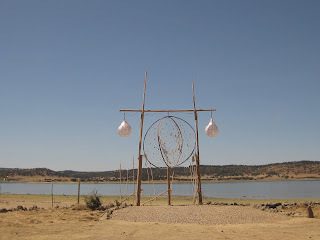 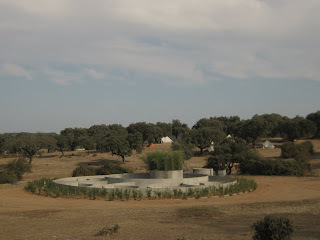 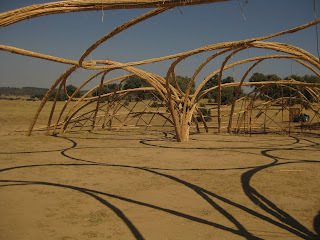 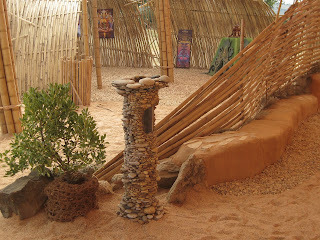 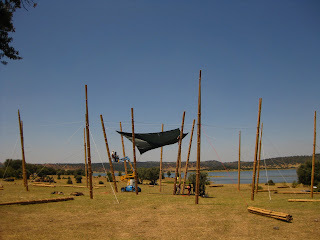 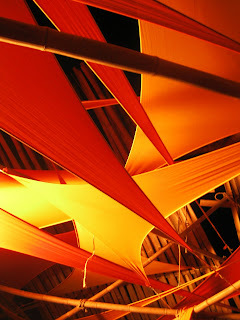 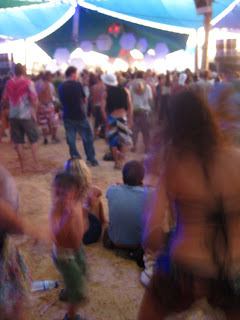 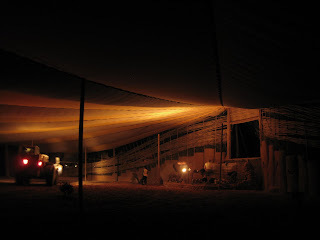 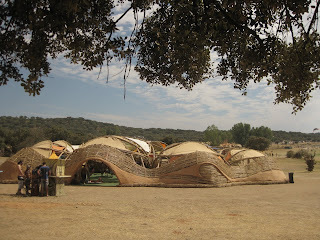 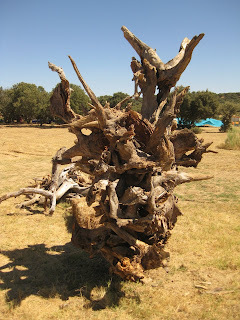 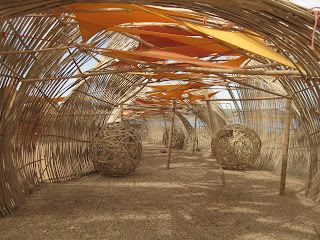 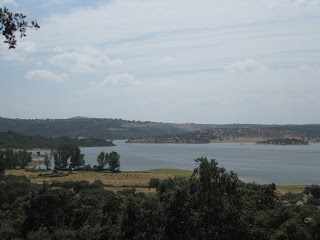 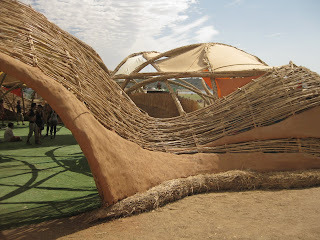 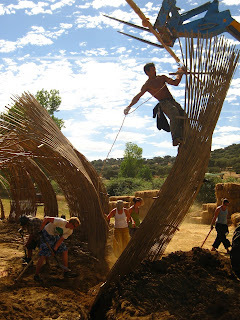 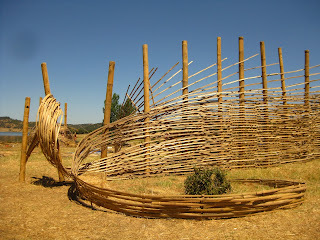 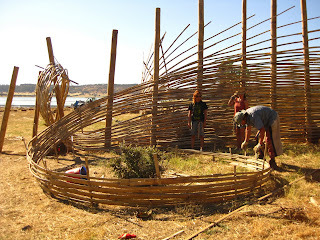 It's an art-based psytrance music festival located in the desert of eastern Portugal. 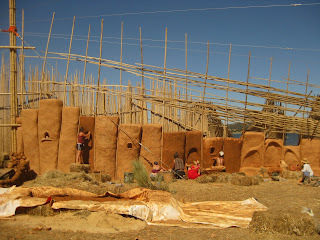 It happens every other year and they are really making an effort to have all of the structures as natural and earth-conscious as we can make it. 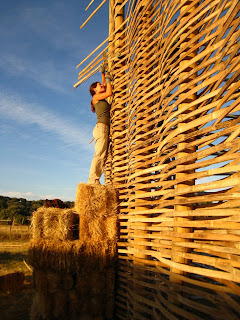 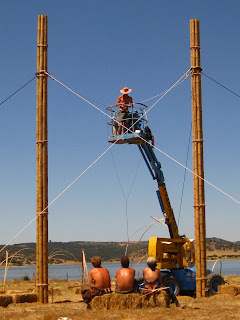 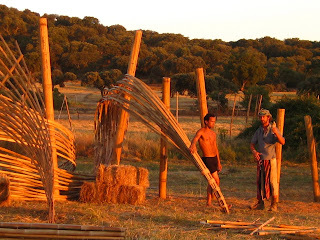 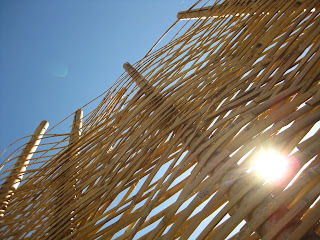 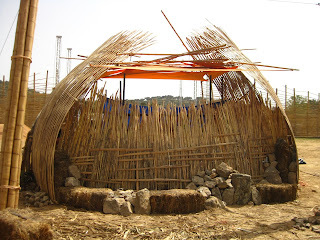 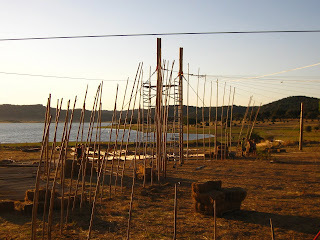 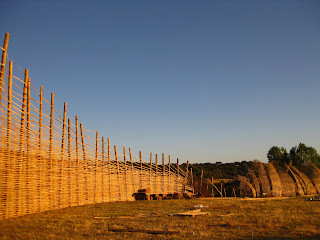 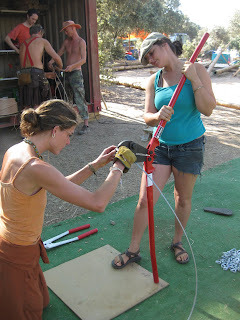 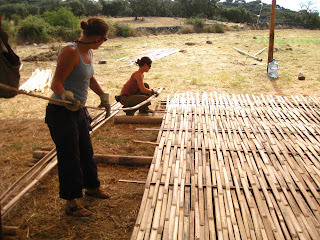 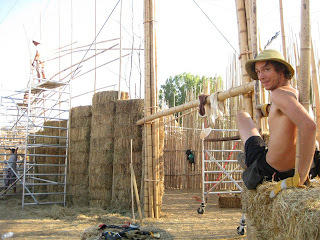 I'm here to play with bamboo as much as possible and build a strawbale wall around a movie screen/workshop area that needed some added sound isolation. 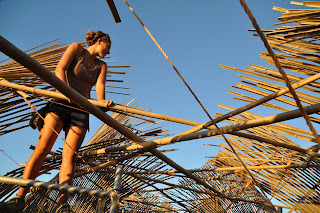 I didn't know exactly what I was getting in to when I arrived, but it turned out great, and there's a lot of photos here to give you a glimpse at my adventure. 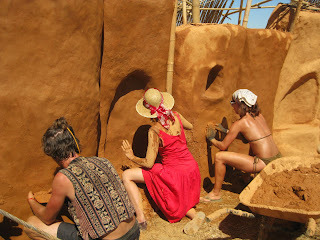 I brought along dear friends, Sebastian, Julia and Fezzo to help make it happen. 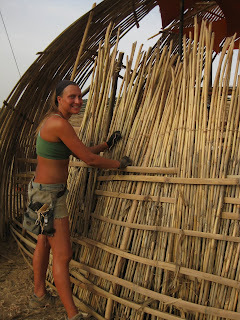 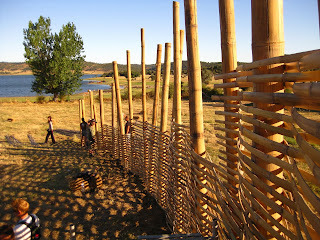 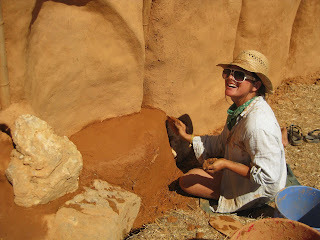 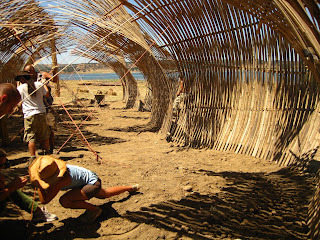 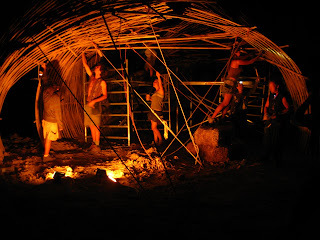 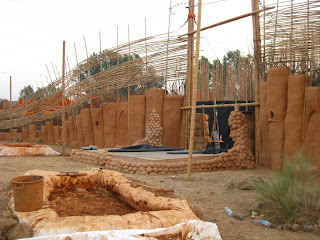 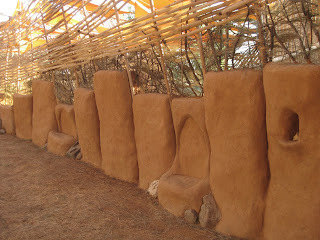 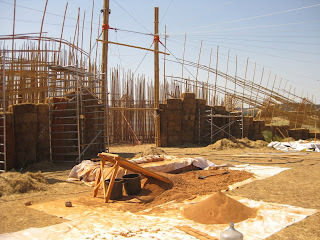 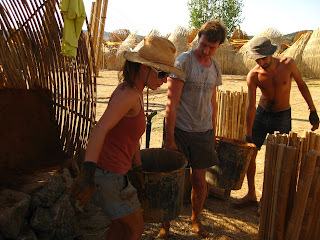 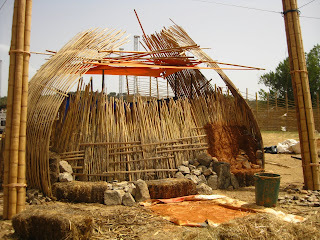 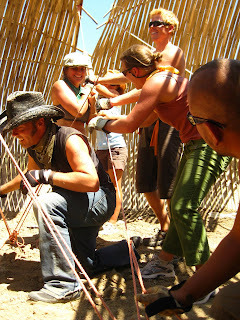 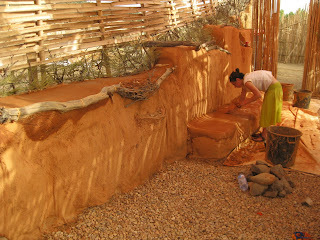 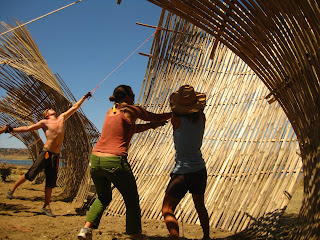 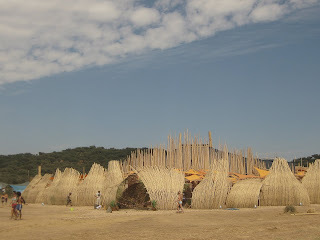 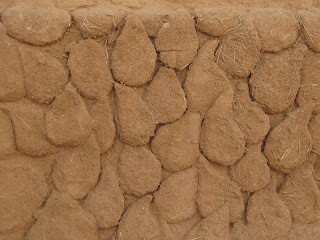 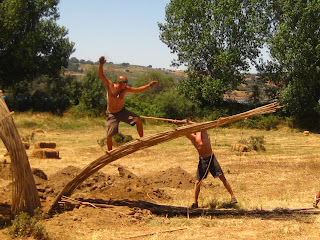 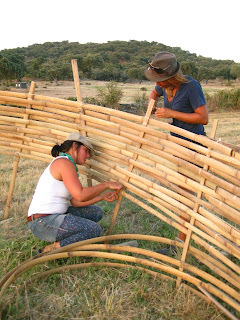 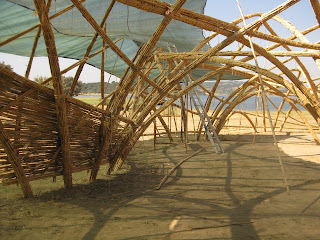 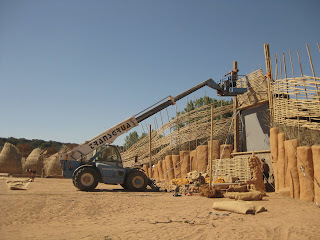 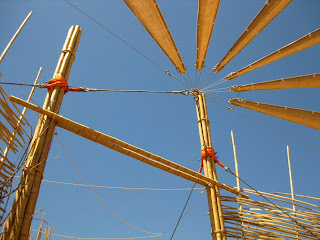 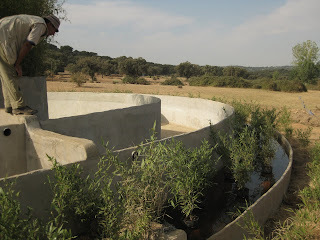 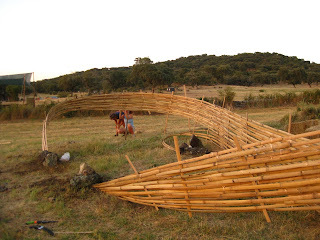 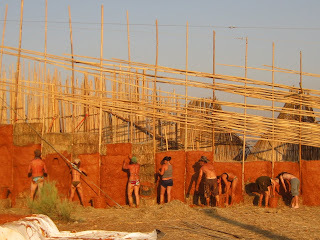 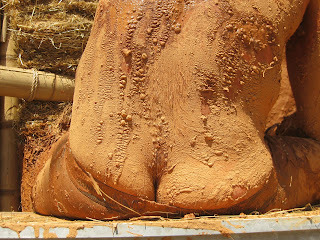 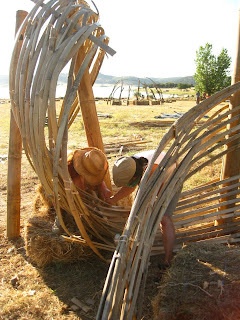 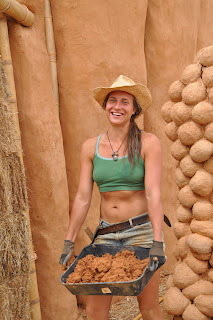 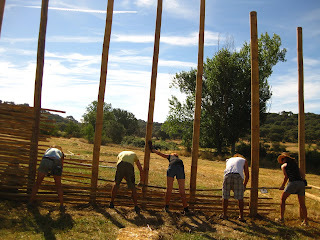 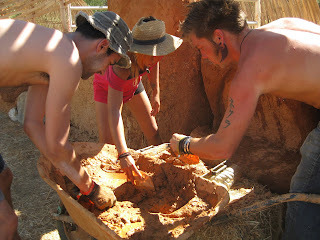 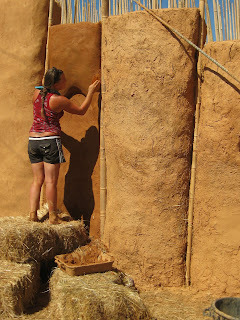 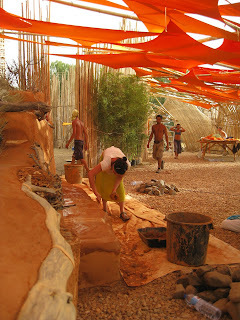 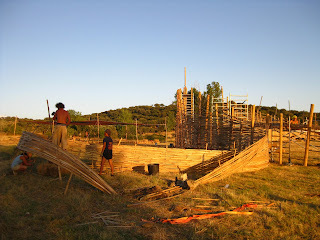 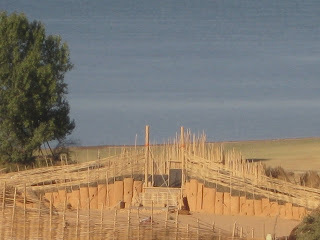 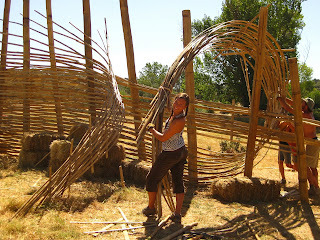 Dozens of other bamboo builders and volunteers from around the world learn to get in the mud and see what we can do with all this clay, sand and straw. 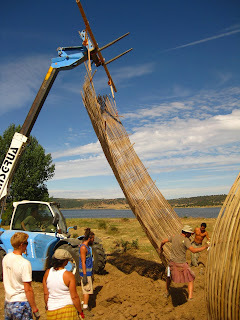 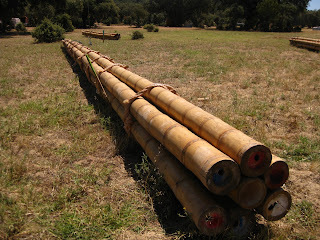 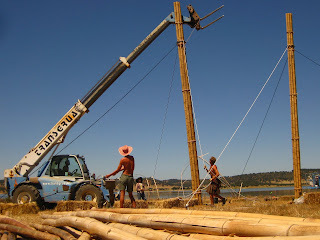 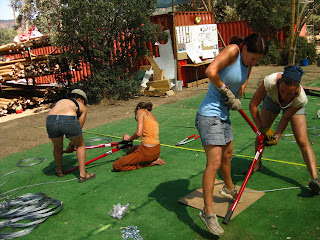 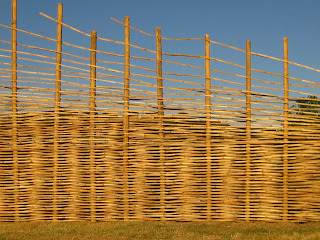 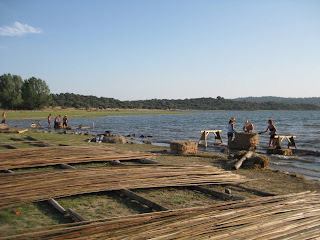 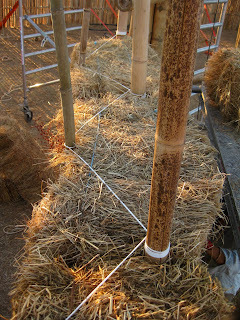 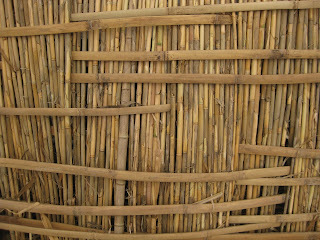 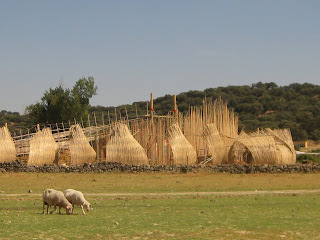 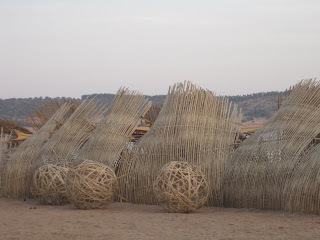 extensive staking with hand carved bamboo splits help toe nail each bale to the next. 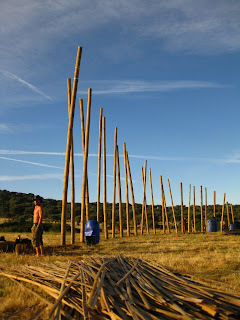 Thanks to Danny Pando for making all those beautiful stakes and doing it fast enough to keep up with the flow. 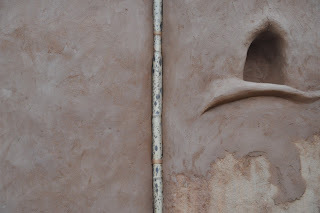 I make a really fancy tying system to hold the external framework together but only reveal a beautiful simple lash once plastered. 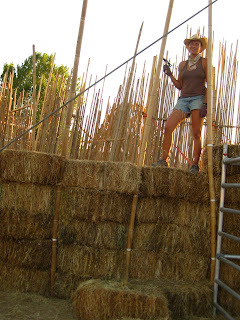 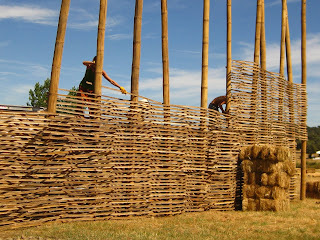 My fearless friends, Sebastian and Ilima, help me get the bales up to 14 courses high! 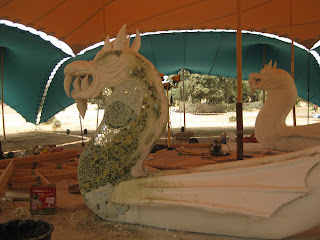 Lots of hammering and balancing involved on this one. 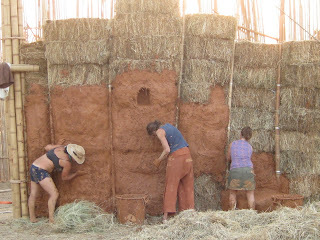 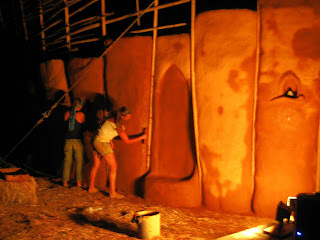 We also spend a few days shaving the corners of the bales and shaping the form as much as possible. 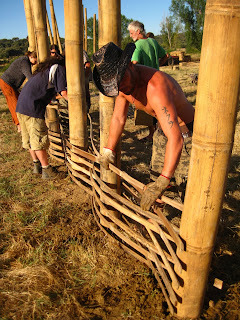 Our head honcho and bamboo guru, Gerard, gets into it! 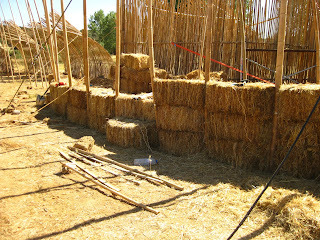 working all together we cover 300 bales in about 2 days! 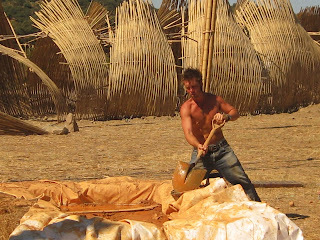 and yes, the most fun and efficient way to mix, is to just dive right in! 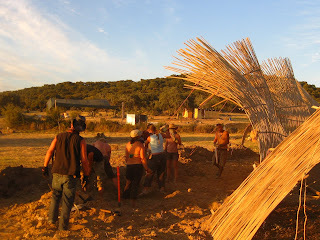 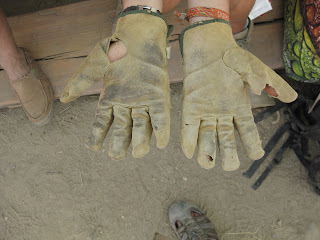 besides, getting coated in mud helps protect us from the scorching sun! 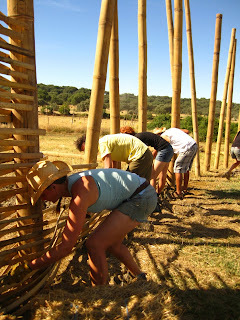 diving the edges up to the bamboo provides a nice place for a cold joint and gives each volunteer a sense of accomplishment, one section at a time. 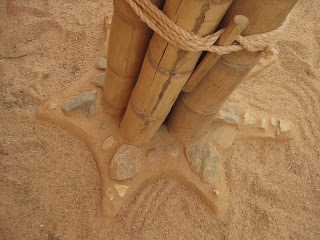 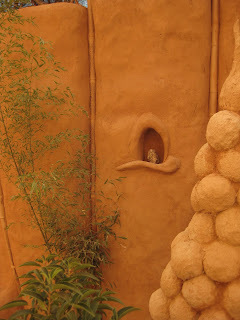 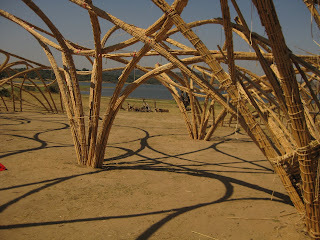 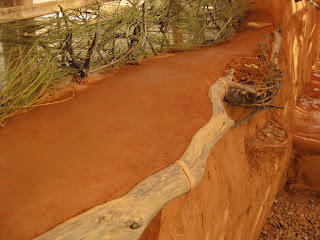 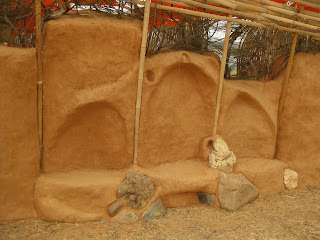 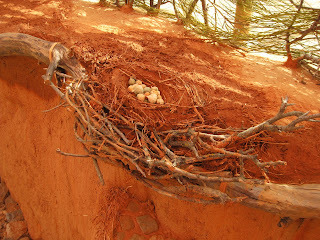 plus the juxtaposition of mud and bamboo is so beautiful! 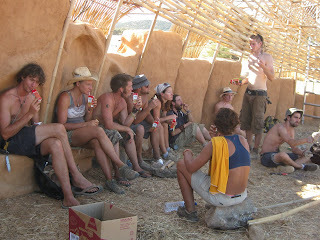 already a great place for our snack and juice break, i will never forget those white cheese sandwiches! 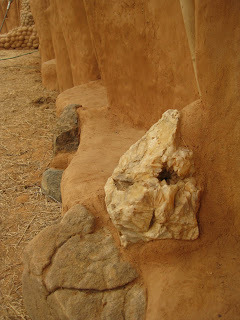 check out the site-found crystal that we integrate into it! 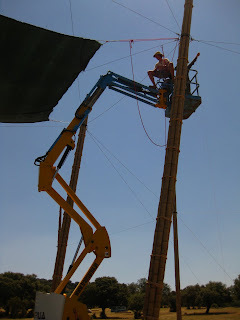 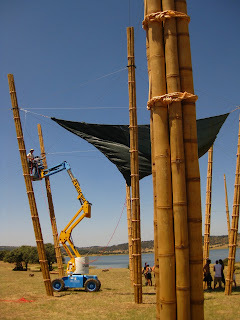 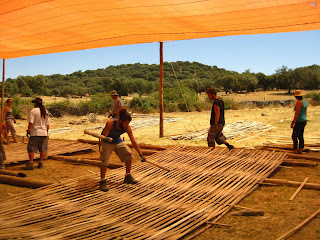 After the festival, we take down the sails, but get to leave the wall standing. 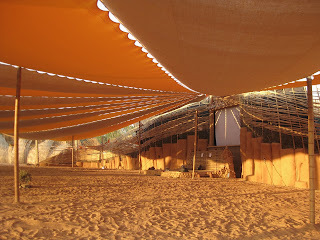 It's going to be used as a drive in movie theather for the local community. 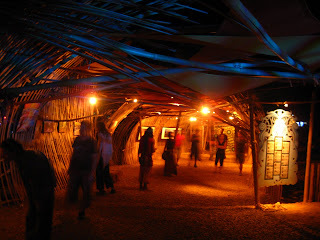 such an amazing space for a gallery! 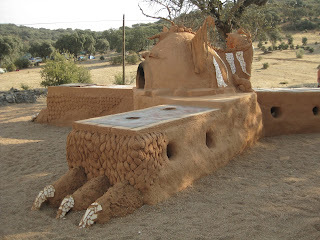 It's a cob oven and rocket stove style grills all in one! 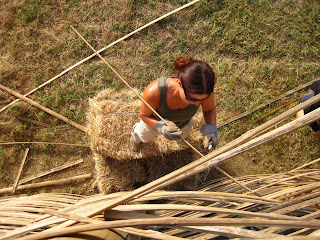 Essentially, sugar cane stalks, that grow rampant all along the northern mediterrean coast. 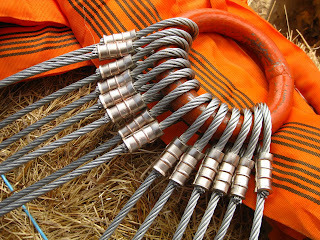 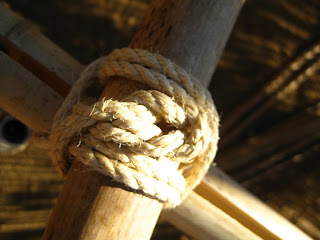 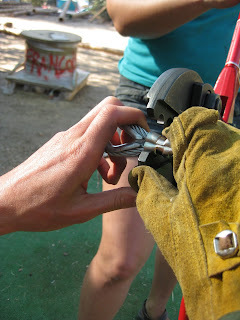 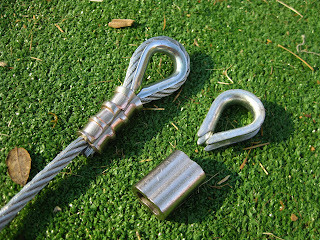 Bundled in groups of 30 or so, spliced to any desired length and then built up like a basket.